It was time to try something new. Most of my previous holidays – when they weren’t spent on the back of a motorcycle hopping from town to town – consisted of sitting in a train or a car, hopping from town to town. Now we’d find one place and stay there for multiple days. It would be an experimental holiday and I was excited to see how it went. Dan chose to be surprised. 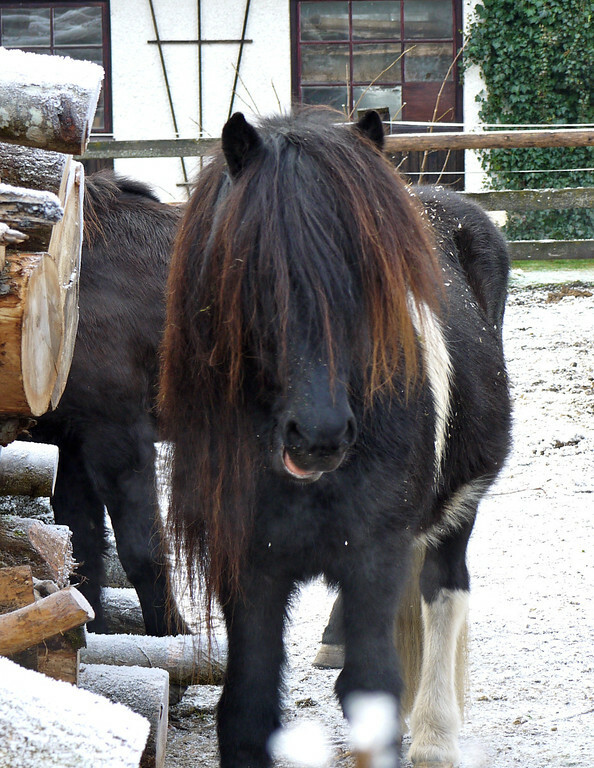 He knew only that we were going to rent a car and spend five days in Austria. I told him what to pack, which of course was a big hint as to what we might be doing, but that was about it. Meanwhile, I took on the almost monumental task of figuring out where we’d go, where we’d stay and what there was to do once we got there. 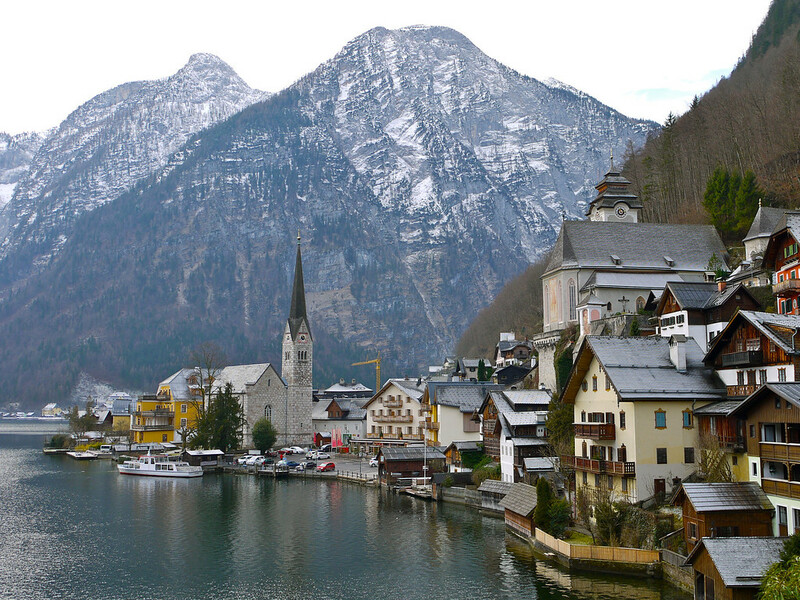 The impetus of the entire trip was based on a photo I saw on Facebook of a picturesque little mountain town in Austria. I determined that we should go there and began to look into it. 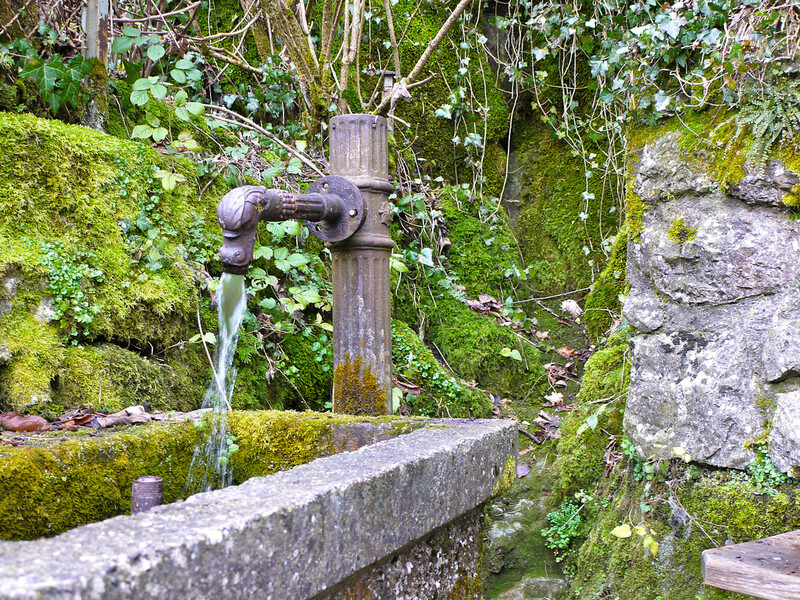 Nearby was skiing, hiking, museums, tours and, of course, a wonderfully idyllic setting. 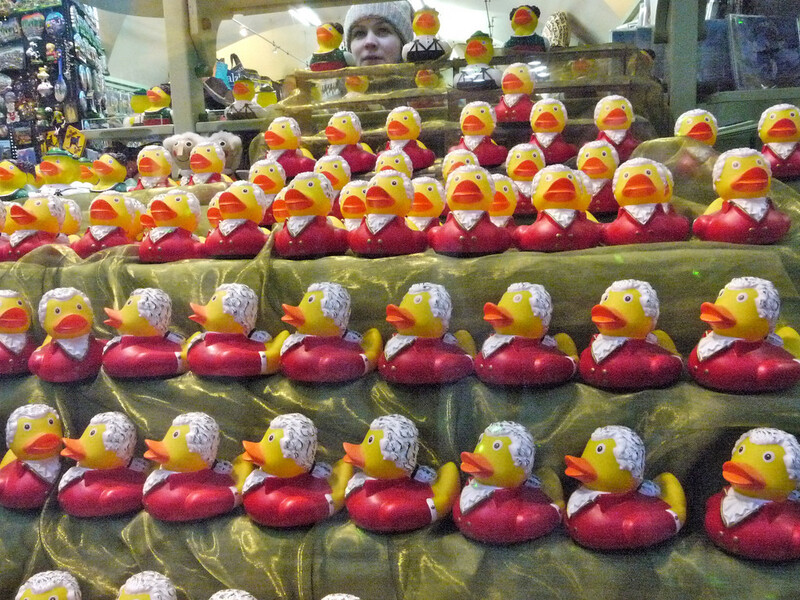 It was now three weeks until the Christmas holiday. I began the tedious process of locating hotels in the area and asking about availability. I was stupidly surprised by the recurring “No rooms available” messages that showed up in my inbox. It had never occurred to me that it was the busiest holiday time of the year and here I was, naively looking for a room for four nights. Then I got a reply that offered me a room but not for the exact dates I was hoping for. The first night on the road would have to be spent somewhere else, but we’d have the rest of trip in the cozy valley of Hallstatter See. I accepted the room and extended the stay there by one night. Now what about that first night? 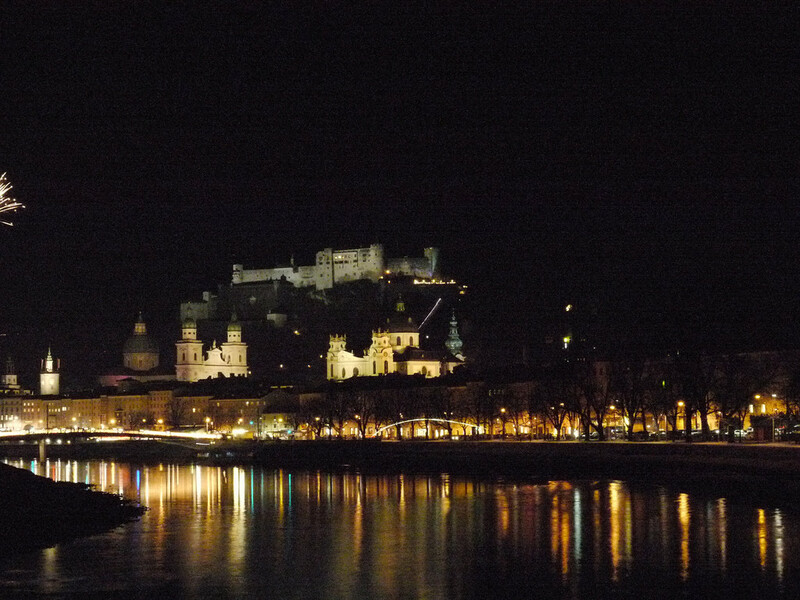 I looked at the map and saw that Salzburg was nearby and on the way. Perfect! I immediately set about looking for a room for a single night. Almost everything was booked, and what wasn’t booked was over 400EU. 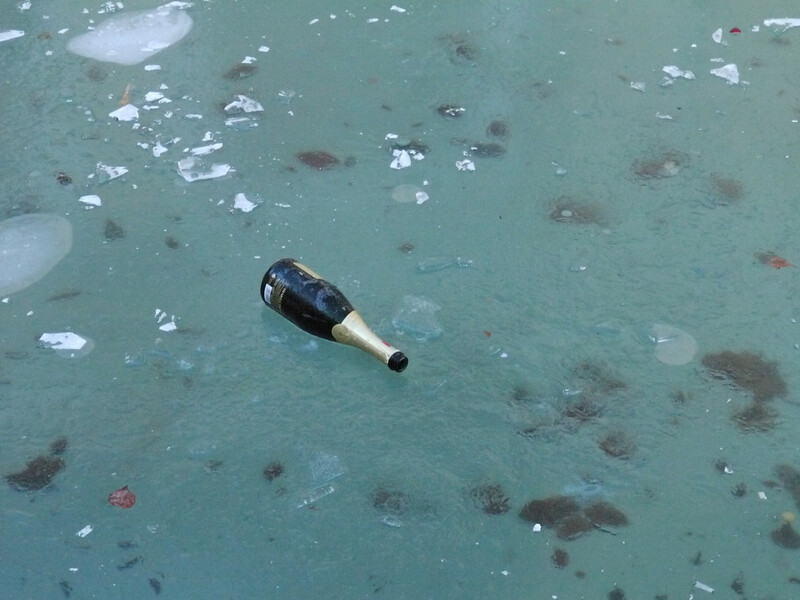 It dawned on me that the night I was trying to book was New Year’s Eve – a holiday that I usually avoid. I kept poking around and found a single room – as in, “one person” – at the Hotel Hohenstauffen and reserved it. Dan and I have shared a twin size bed before; we could do it again. In further conversation with the hotel employee, he said that he could squeeze in a cot into the room for us. Everything was falling into place. 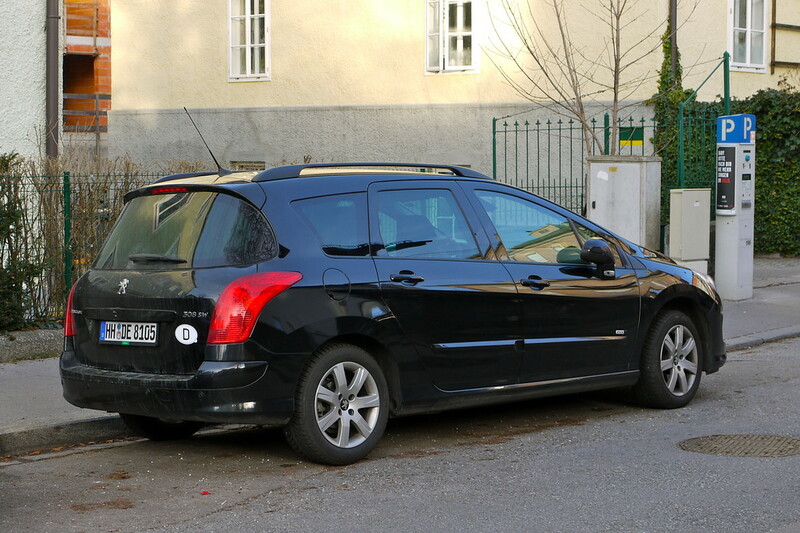 On Monday we went to the town of Lörrach (DE) and picked up our rental car, a Peugeot 308. I read up on it and found that while it didn’t get rave reviews, it was a decent mid-range sedan and would suit our needs just fine. I was amused that the car rental clerk made a point of asking me if I needed an automatic. I will assume that he asks all customers that, and not just the American ones. As it was, I was looking forward to driving a manual car again. I miss driving my ’71 VW Beetle, slipping the shifter into place to take advantage of engine speeds and inertia. I finished up work on Monday, we sorted our gear and clothes that night and Tuesday morning we bundled everything into the car and left town. Let the holiday begin! The drive to Salzburg was fairly uninteresting. We drove through Germany, enjoying the autobahn’s fast roads and light traffic. The weather was good, with clear and dry roads. I found that a comfortable pace was 175kph (110mph) and we passed cars slightly more often than we were passed. 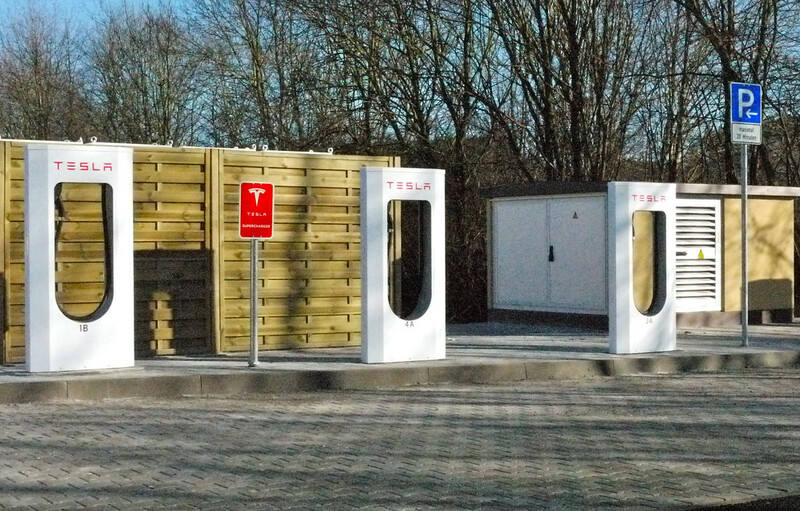 It was noon when we stopped for lunch in Aichstetten (DE) and during my tour of the parking lot (things were not very well signed) we stumbled upon a Tesla charging station. It was the first one that we’d ever seen and it sparked a discussion regarding the onboard computer that the Tesla cars must have to let the driver know where the nearest charging station was. The thrill of the discovery had passed; we ate our lunch and got back on the road. 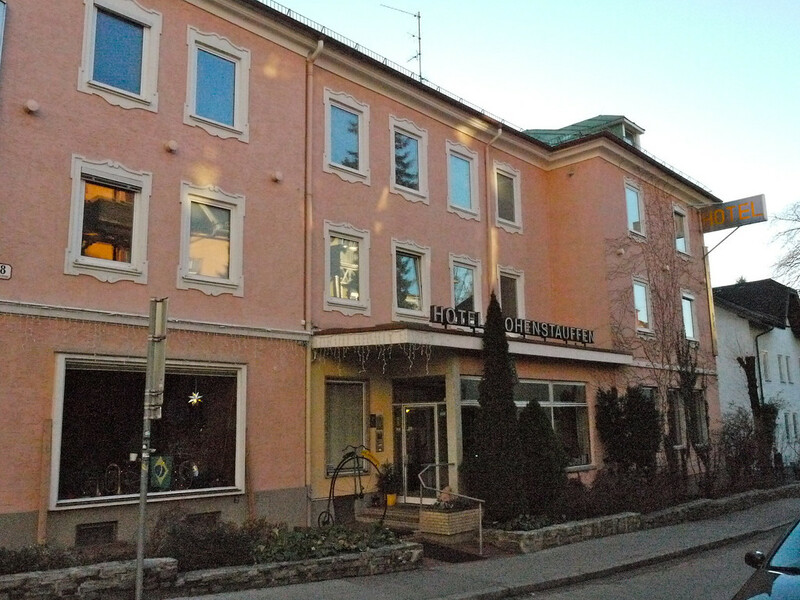 The history of Hotel Hohenstauffen dates back to the 19th century. It is located in the Elizabeth suburbs, a district which was founded and planned after the erection of the railway station in 1860. 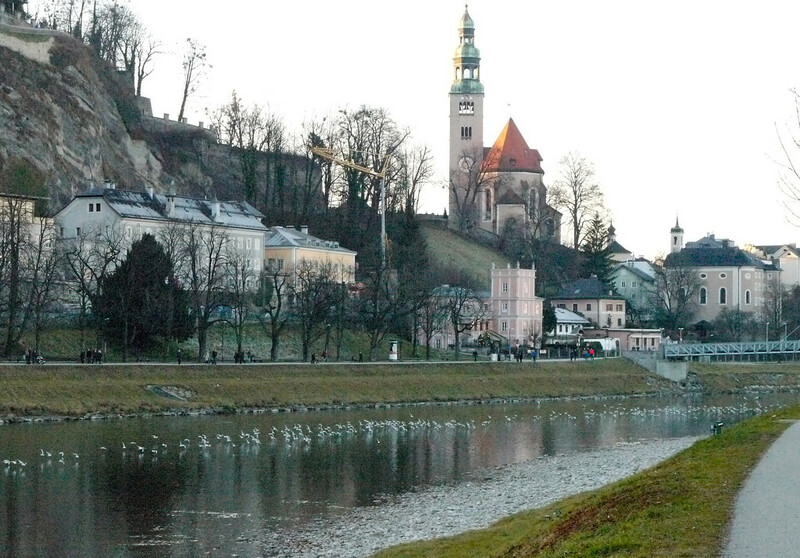 In former times this area was called “frog’s home” because there were only meadows, forests and ponds along the woods of the Salzach river with hundreds of frogs. Only after the imperial visit of the empress Elizabeth in 1898 was the district given a new name. I had cleverly packed our things so that we only had to bring in one bag for the evening. 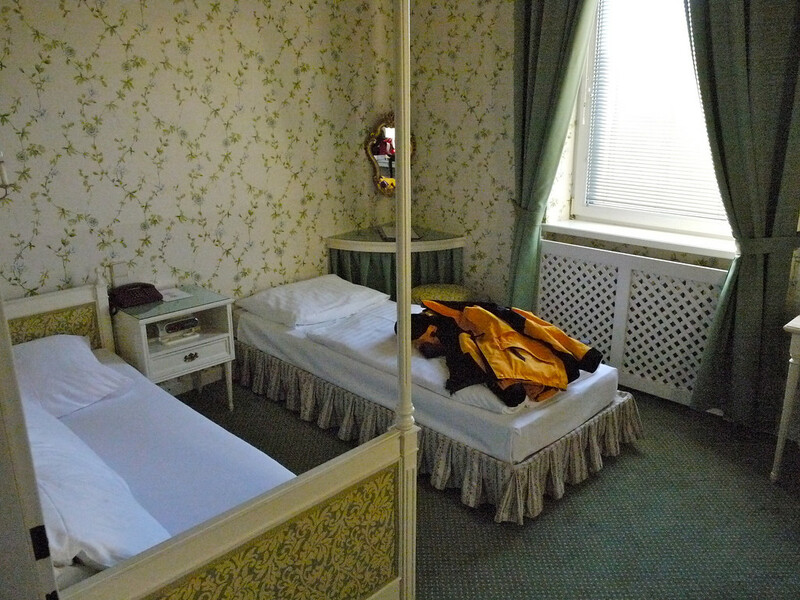 We quickly dropped it off in the room and then went off to explore Mozart’s hometown. 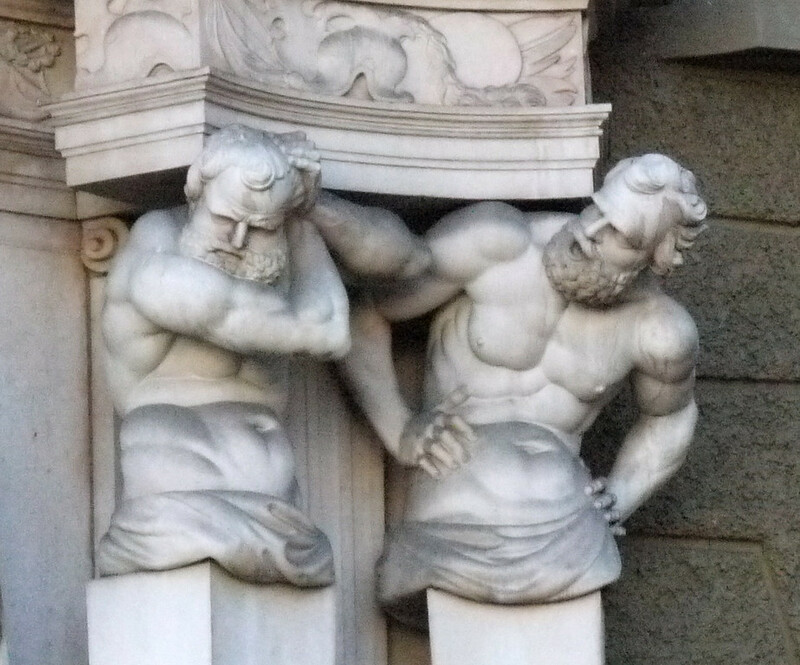 The photos didn’t turn out as well as I would have hoped, but at least they capture the essence of the sights. Our room was near the train station but it was an easy walk to the river and then upstream to the city’s historic district. We were about 15 minutes into our walk when we heard a boom; a really big “boom”, in fact. It was the cannons on the hillside across the river. 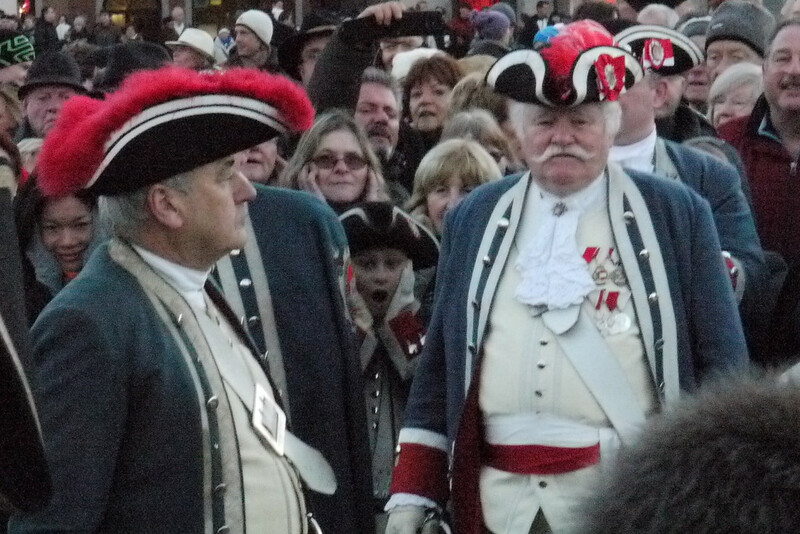 What the hotel clerk had said to us finally made sense: every year on New Year’s Eve at 4pm they fire the cannons. The booming continued for about 10 minutes, echoing off the valley walls and causing the seagulls to take off in a panic. 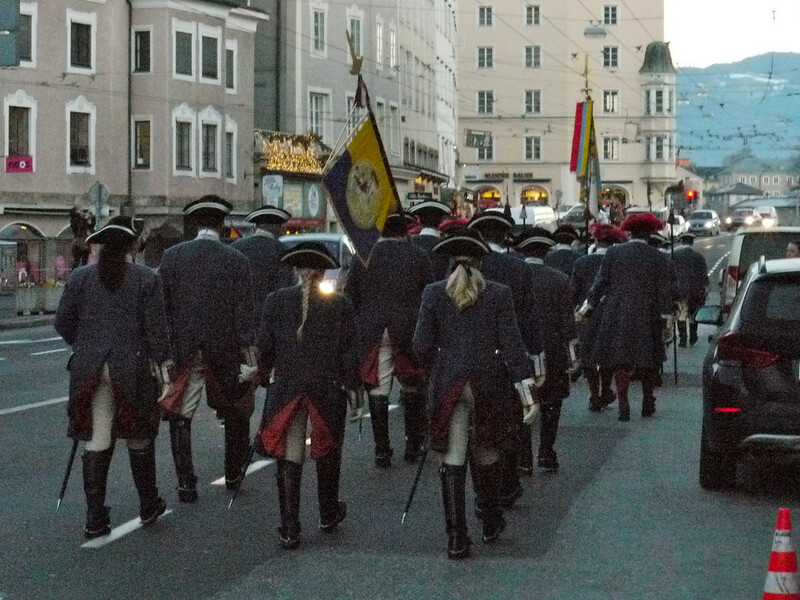 A small parade of about 40 historically costumed people marched past us, the front lines towing their own cannon. They made their way to one of the many bridges crossing the river, set up the cannon and proceeded to fire back at the cannons on the hillside. 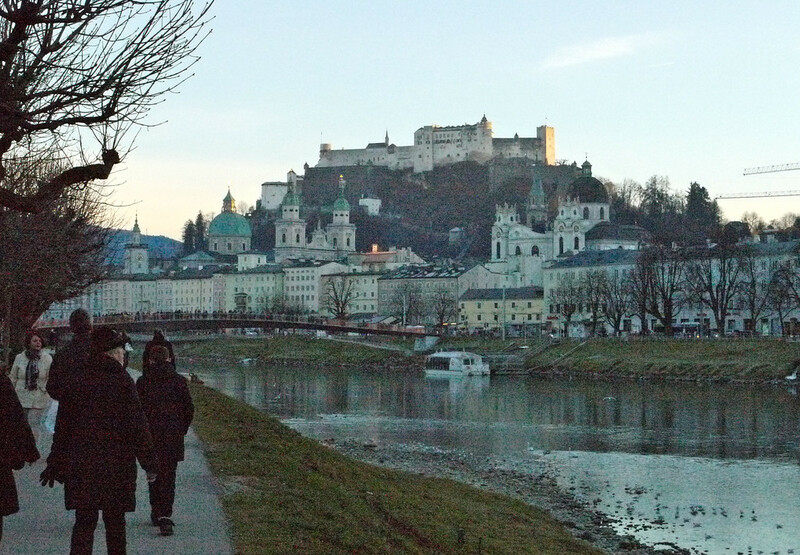 After the first shot, Dan and I took the opportunity to leave the crowd of people behind and start to explore Salzburg’s historic district. We spent the next hour and a half poking through alleys, streets and market stalls. We tried to find a seat at a restaurant but were turned away; New Year’s Eve strikes again. Eventually we picked up some Glühwein und heisse Maroni (mulled wine and roasted chestnuts) to munch on. It wasn’t much, but we added some Bonsa sausages from another market stall and that took care of dinner. Then we realized that it was only 5:30. Fireworks wouldn’t begin for another 6 ½ hours – what would we do until then? It was cold, dark and we had seen most of what we could see at this time of night. We decided to go back to the room and warm up, relax and then come back out for the fireworks. This plan failed spectacularly. We found ourselves asleep by 10:30, not waking up again until 8 the next morning. While it would have been nice to have seen the fireworks streak above the historic buildings, it was also nice to have a full night’s sleep. We wandered back down to the historic district the next morning but there wasn’t much to see that we hadn’t seen the night before. 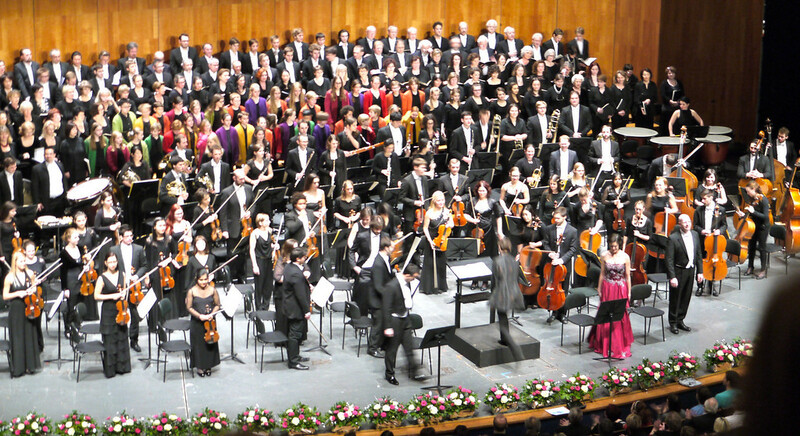 Until we saw the sign advertising the symphony; what better thing to do in Salzburg than to go to a symphony? The sign advertised three showings that included Bolero, Rhapsody in Blue, Carmina Burana, Beethoven and Mozart. Fantastic! We went inside to see if any tickets were left, grabbed a couple of seats and then hid in the corner, watching the people in fur coats and fancy hats walk by as we stood there in our jeans and sneakers. We obviously had not planned for this detour and were not dressed for it. The orchestra played for an hour and a half, but we were disappointed not to hear Mozart or Beethoven in the score. It turned out that only the middle show included these pieces played by the Austrian National Orchestra. Oh well – it was still a good time and the music was enjoyable. We joined the people streaming back into the sunshine and walked around a little bit more. It was time for lunch and we returned to a restaurant that had interested us the night before. They had space for two and we enjoyed a hearty meal while listening to the cacophony of languages around us. It was already well after noon and it was time to head to our next destination. 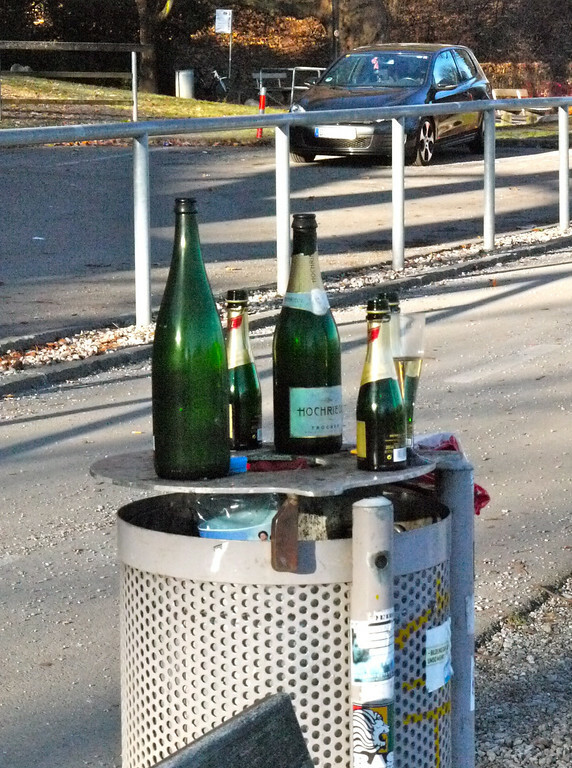 We walked back to the hotel, the bright sun glistening off discarded champagne and beer bottles. 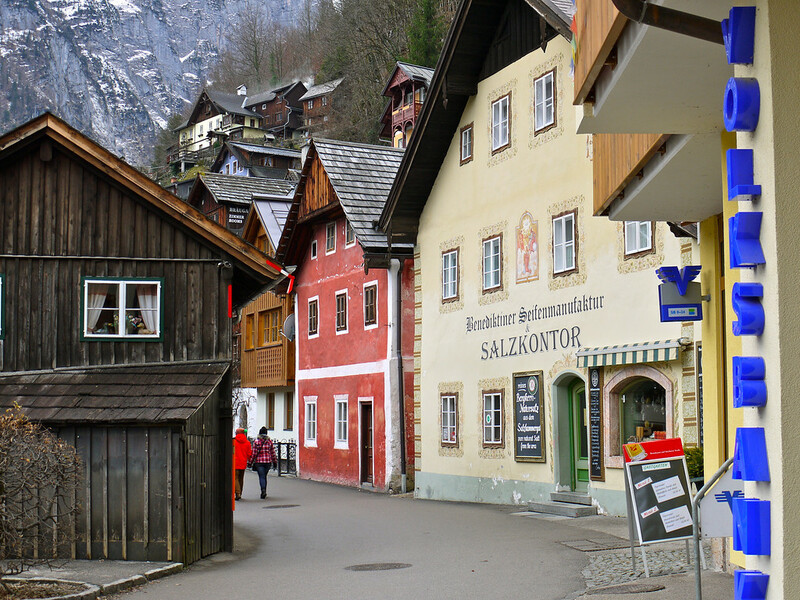 Our new destination was Obertraun, a tiny village on the shores of Hallstatt Lake. 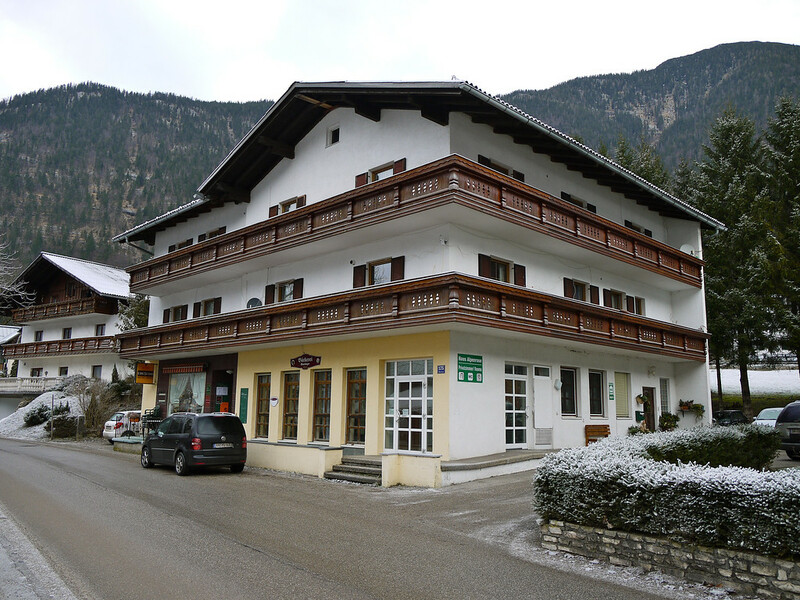 It didn’t take us long, just over an hour, before we passed around the south side of the lake and arrived at our new accommodations: Pension Alpen Rose. The light was fading as we hauled our gear to our room, a simple but clean room with a double bed and an en suite bathroom. Our hostess was pleasant and arranged for us to have breakfast in the mornings. We went for a short walk around the town, checking out the dark lake and then further down the valley, hoping to find something to eat. 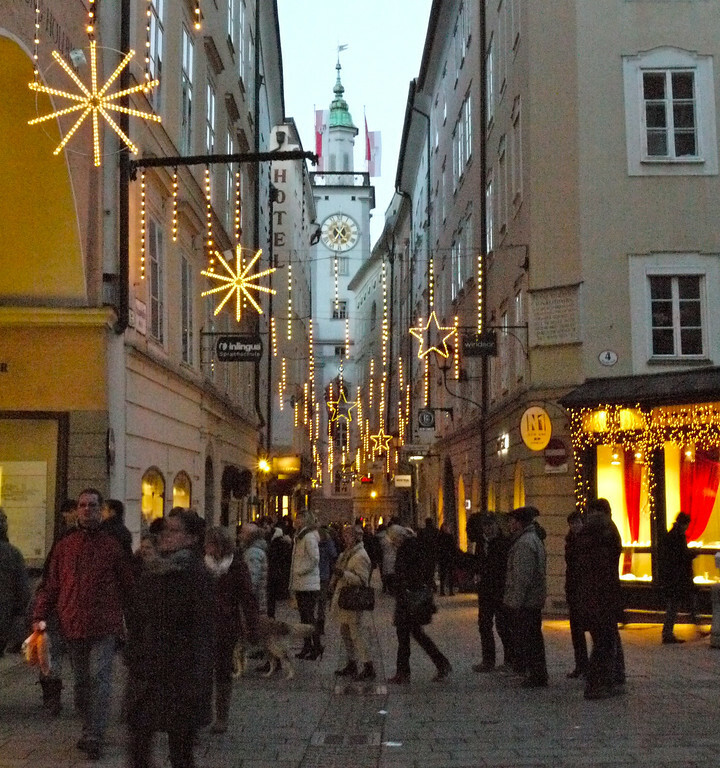 We weren’t terribly hungry, as our meal in Salzburg had been plentiful, but I was really hoping for was a simple apfel strudel. 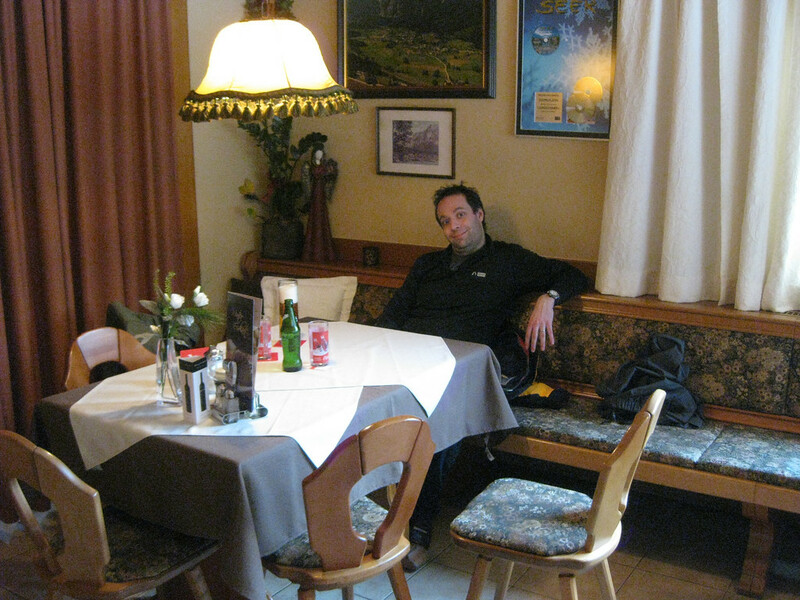 We walked into the Restaurant Höllwirt and asked for a table. I shouldn’t have been surprised that all of the tables were reserved, but I was. I still wasn’t thinking about the fact that it was now New Year’s Day, and that most people liked to celebrate by going out to eat. Not to be denied, I asked if I could at least get an apfel strudel to take with us. The hostess was more than willing to accommodate and we were soon on our way with two piping hot bundles of goodness. We ate them in the comfort of our room and enjoyed a quiet evening. 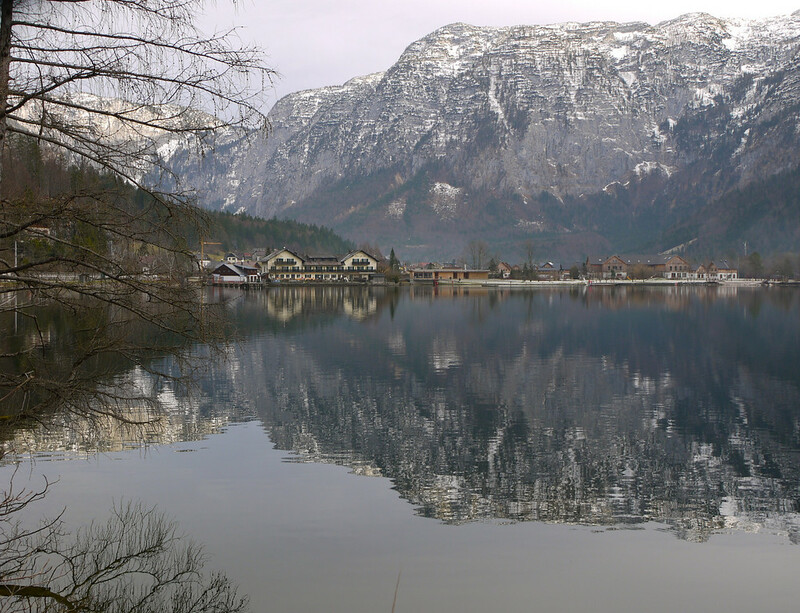 The next morning we took the local bus to Hallstatt. This village was actually the reason I had chosen this area. 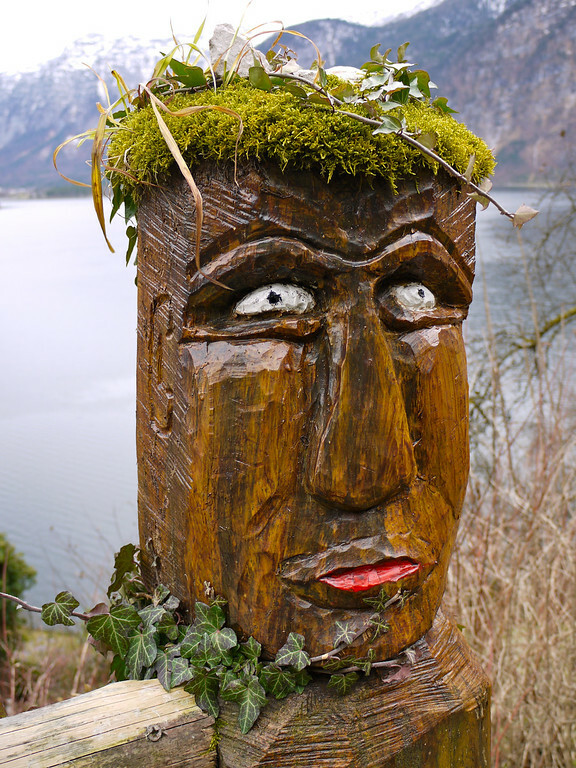 It started with the photo of Hallstatt and then continued with what I found out about the area. 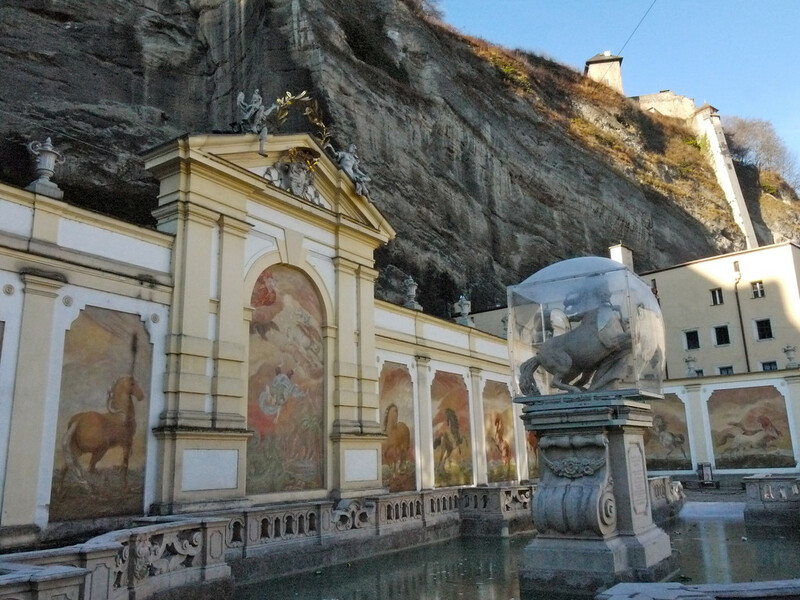 Not only is it the site of the world’s oldest salt mine, with evidence of use dating over 7,000 years, but the history and geology of the area is so distinctive that the entire region is a UNESCO Heritage Site. 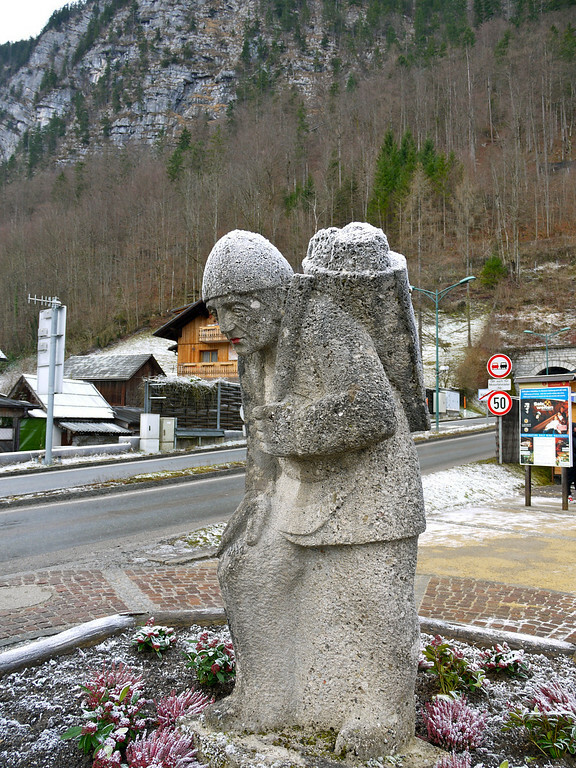 There were tours of the mine, a museum and the town itself to explore. 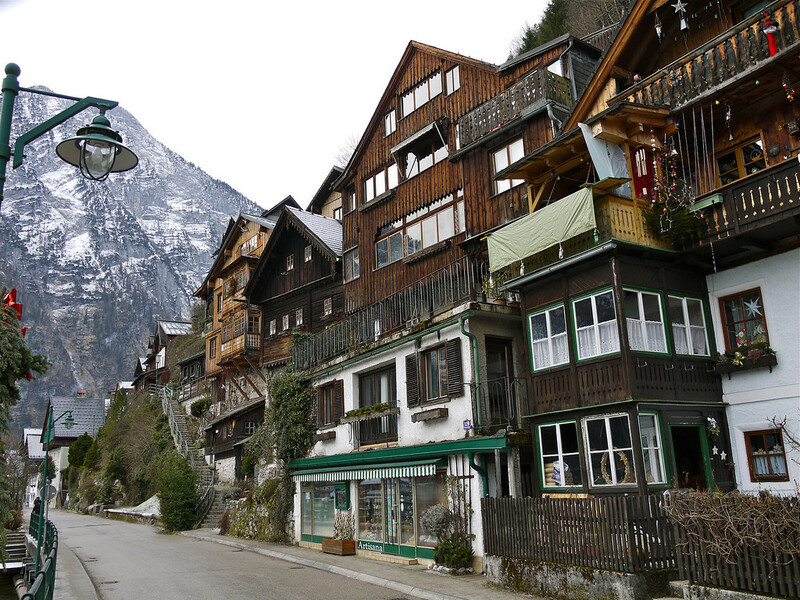 The weather was cold but clear and we took the morning to wander the streets of this lakeside village. 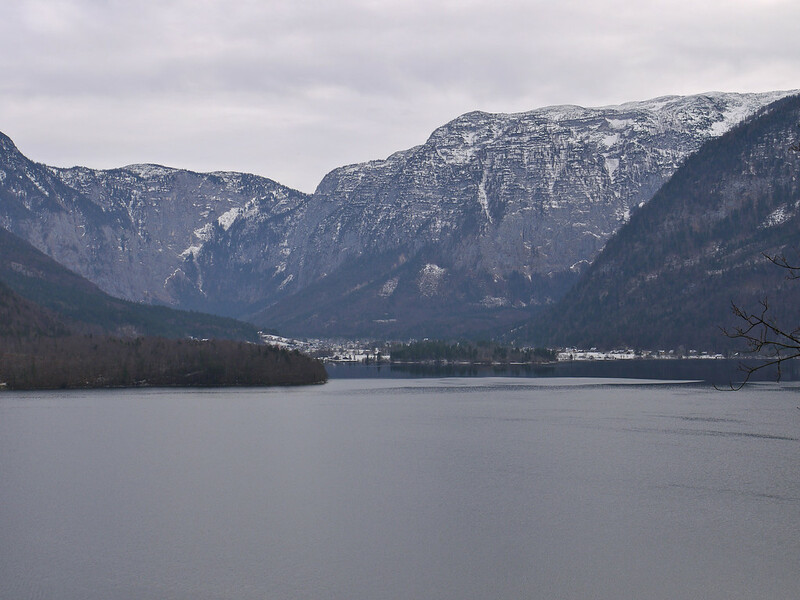 I was surprised that there was almost no snow in the valley, the snow level reaching halfway up the mountains that ringed the lake. This was not the winter wonderland I had expected, but it did make it a lot easier to walk around. 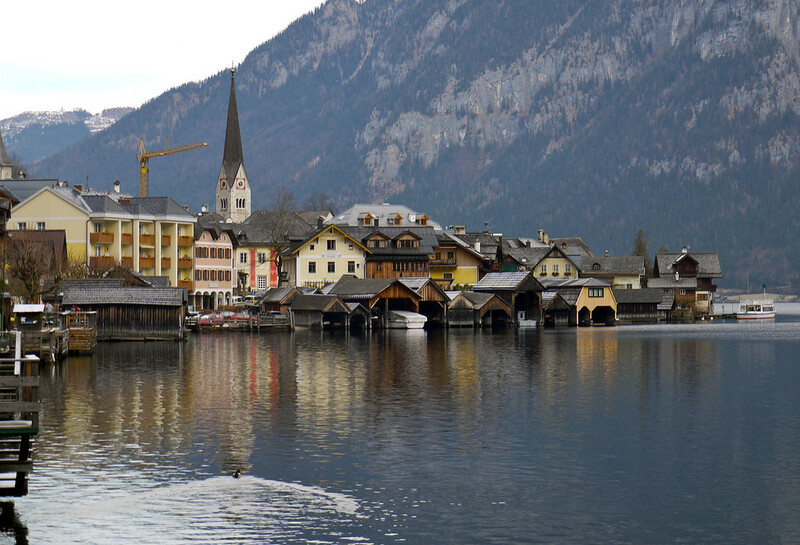 The village is tucked between the narrow space between the lake and the mountain, and many of the buildings were built high up on the slope, connected only by narrow walkways and paths to the rest of the town. 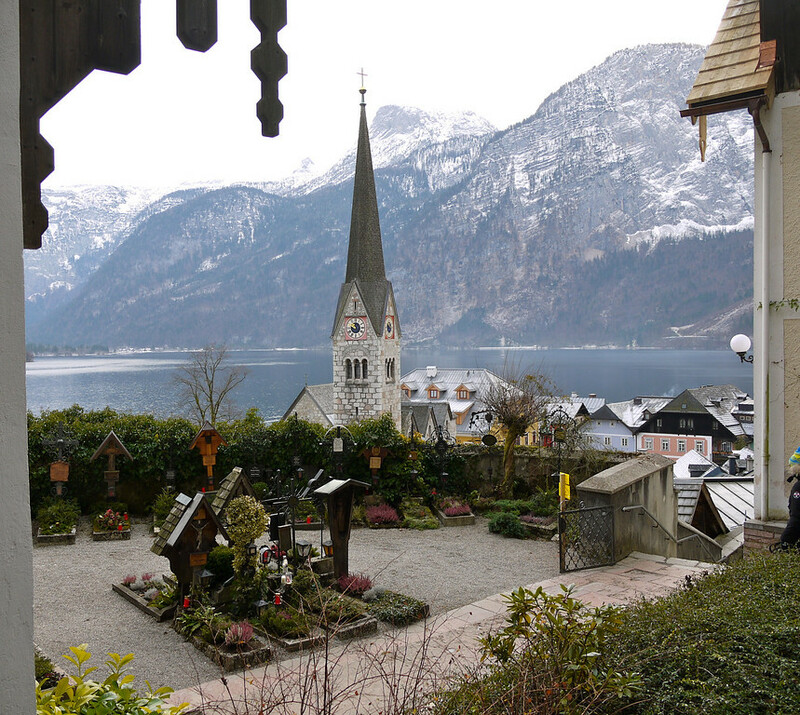 We climbed up the path to the Catholic church and enjoyed the view over the rooftops and across the lake. 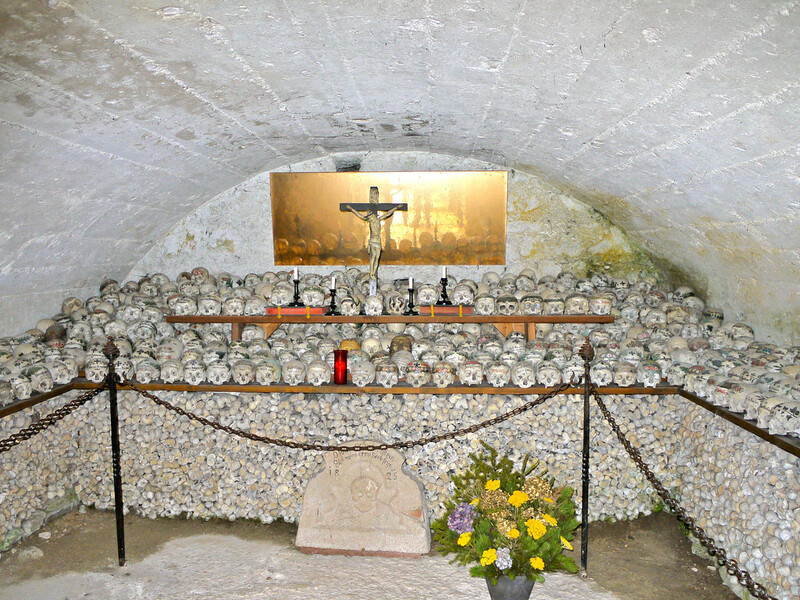 Behind the church was a Ossuary (Charnel House), a room where they housed the bones of the bodies that had finished out their 25 year stay in the graveyard. 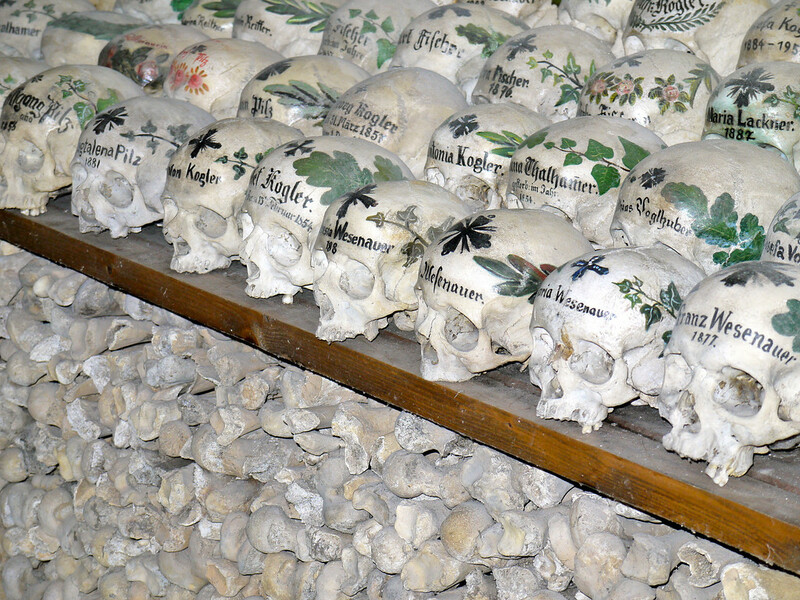 The bones had been cleaned and the skulls painted with leaves, flowers and the name of the deceased. This practice still continues today, but it is much less common due to cremation being a more popular option. We stopped by the Derbl Konditorei for another (and even better) apfel strudel. This one was bigger and was plated in a small sea of fresh cream, while a tiny mountain of whipped cream graced one end of the plate. After gorging ourselves on this delightful desert, we caught a ferry that would take us to the other side of the lake. 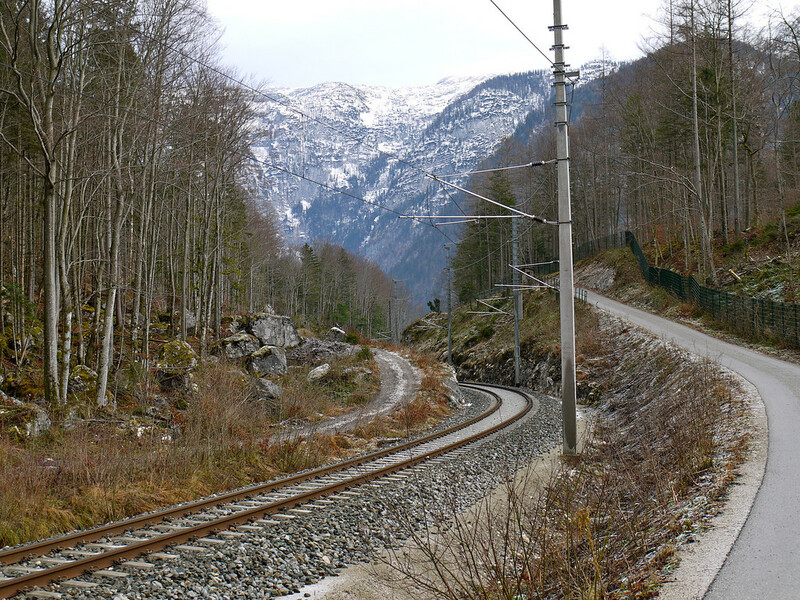 From here, one could take the train the 1km back into Obertraun or, in the other direction, to Salzburg. 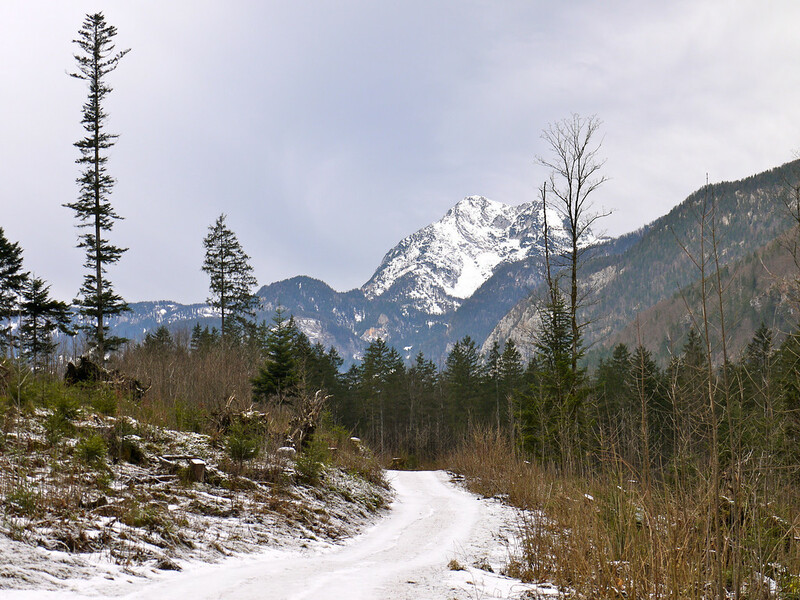 Or, as we did, walk back to Obertraun. It was a pleasant walk along the lake and it wasn’t long before we were back in our room. 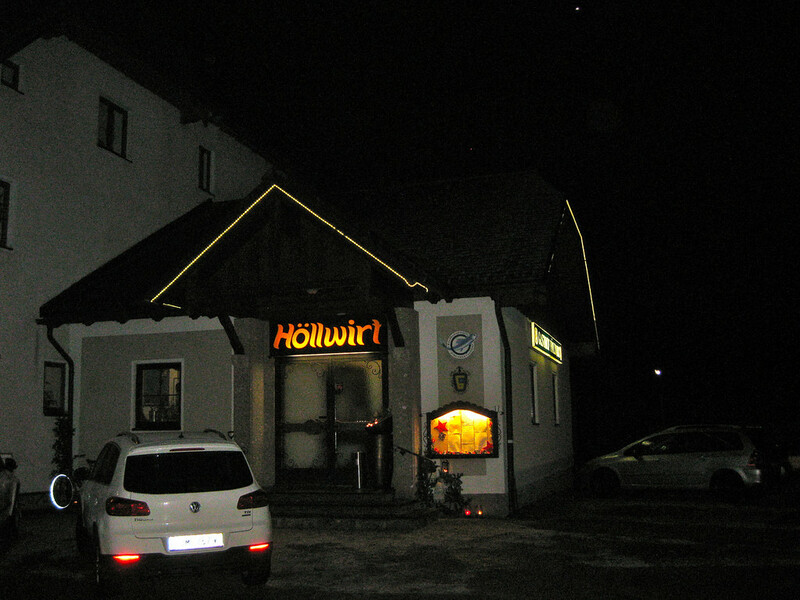 That evening we went back to Restaurant Höllwirt and made reservations for a table in 30 minutes or so. We went back out into the dark and wandered through the valley, not sure where we were going but knowing that we had some time to kill. Under a set of bright street lights we saw (and heard) a group of locals playing some sort of game. We stood in the shadows and watched, trying to determine the rules as they moved about. 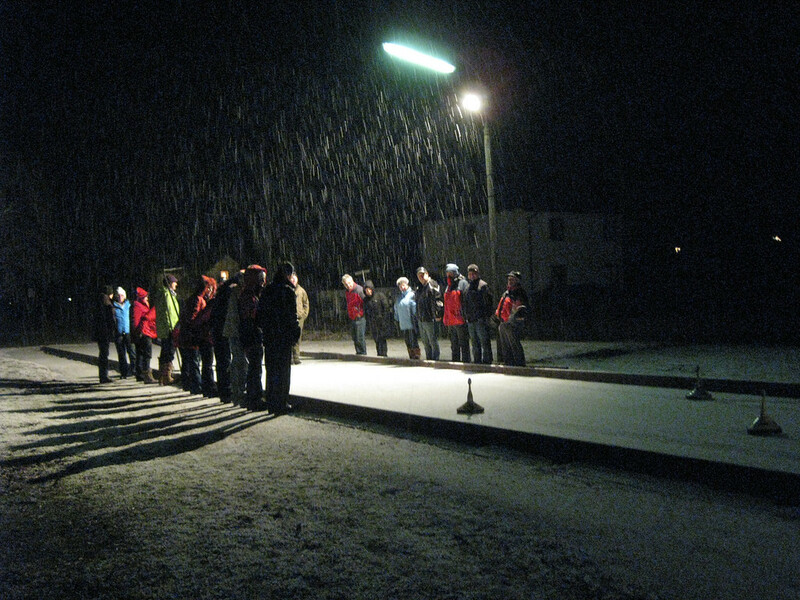 It appeared to be a variation of curling, but with different “stones” and no brooms. I called out to one of the players as he walked by and he said that the game was called “Eisstockschliessen” (Ice piece shooting). The snow was starting to fall thicker, making the game more difficult for the sliding pieces and Dan and I went in to get our table. We placed our order, listening to the rowdy crowd by the front door. We placed our order and while we waited we saw the players from the game coming and take their places at the private room in the back. The waitress told us that the losers have to buy dinner, so it was no wonder someone had pulled out a measuring tape after a particularly close play! Our food came and we devoured it quickly. I didn’t think I was that hungry, but once I started I had a hard time stopping; it was delicious. The next morning was another surprise for Dan: we were going to go skiing. 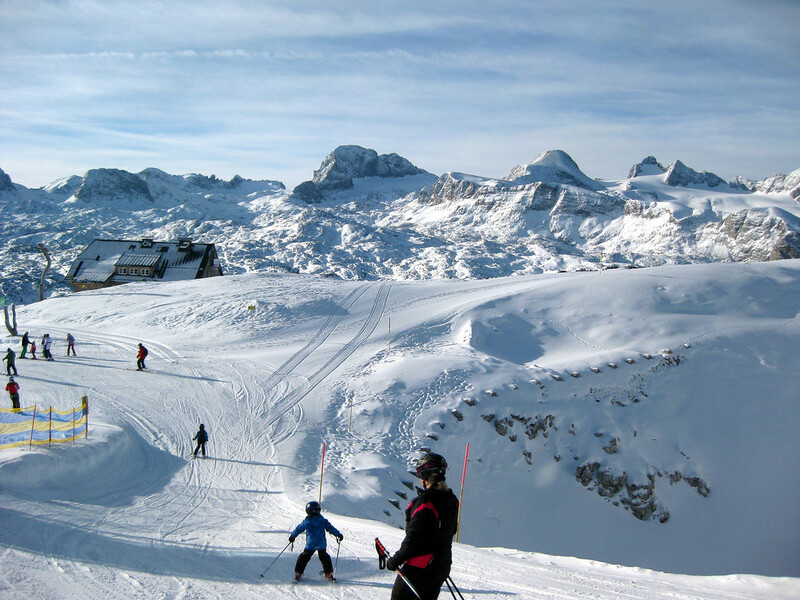 I used to ski a lot in high school and college, but I’ve only been on the slopes once in the last twenty years. 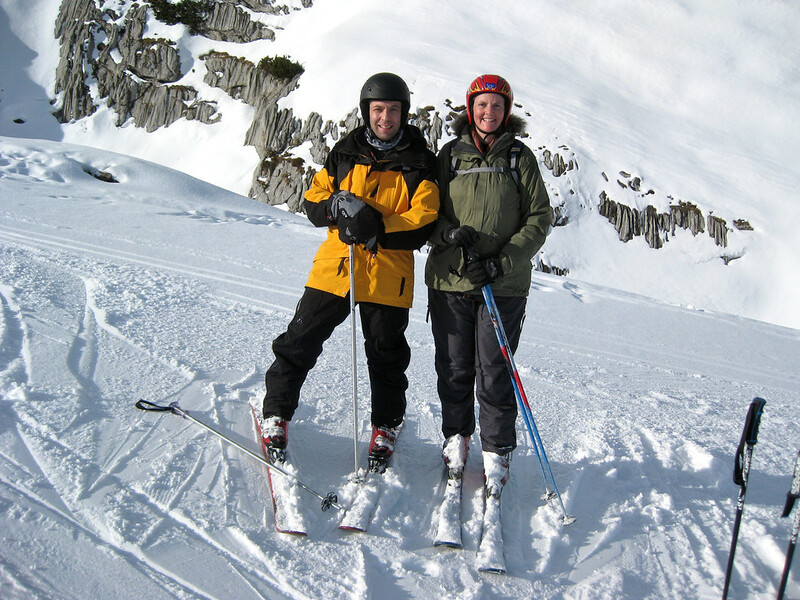 Dan used to ski in Colorado, but he had injured his knee there and hadn’t been on skis since. He was concerned about re-injuring his knee, so I arranged for us to have a lesson that morning. I figured that it would be good for his confidence and good for my re-introduction. 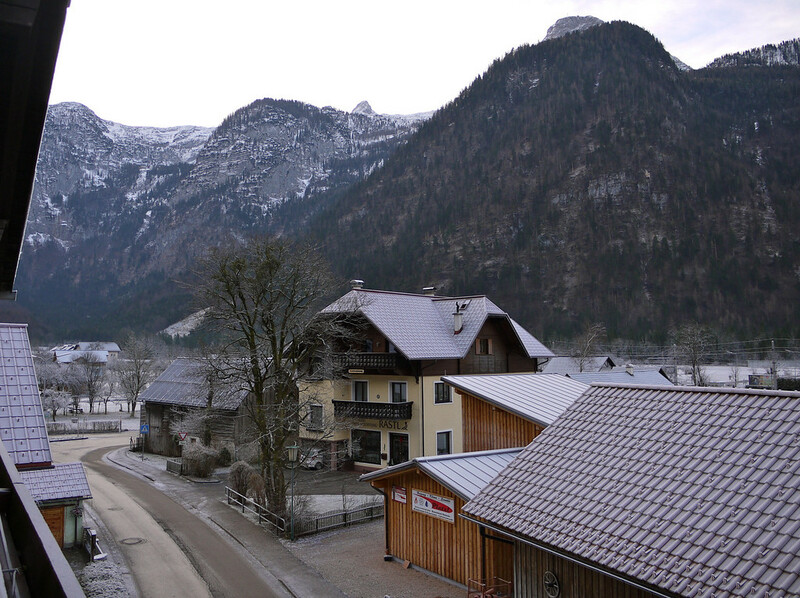 We drove the car across the valley to the Dachstein Resort. We rented our gear inside the station and met up with Rob from Outdoor Leadership, a man of eternal patience who would guide us down the slopes that day. 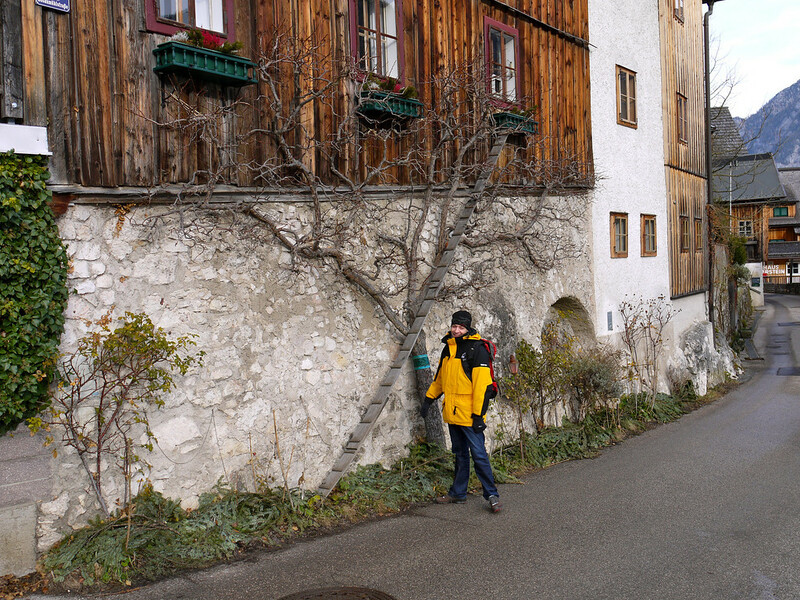 There was no snow at this level and the surrounding mountains offered practically sheer walls. 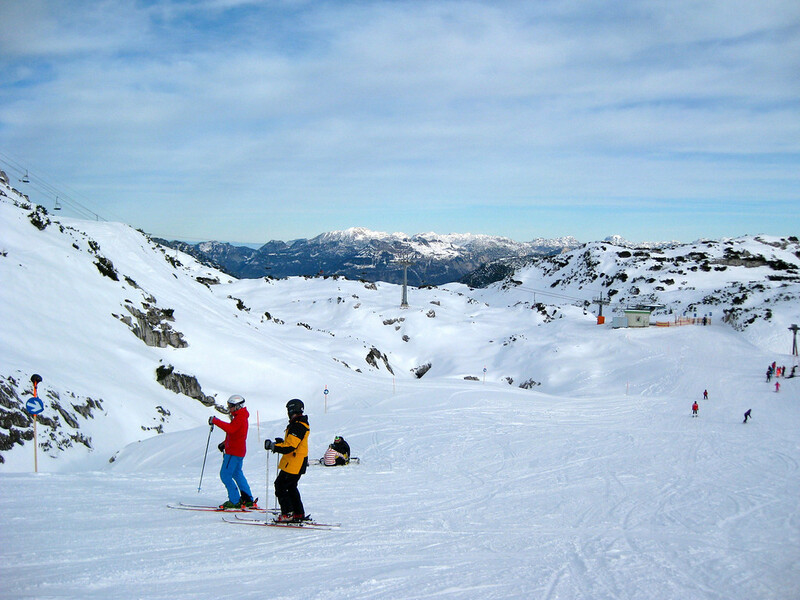 It was hard to imagine that in 20 minutes we’d be skiing. We crammed into a crowded gondola and it climbed rapidly. 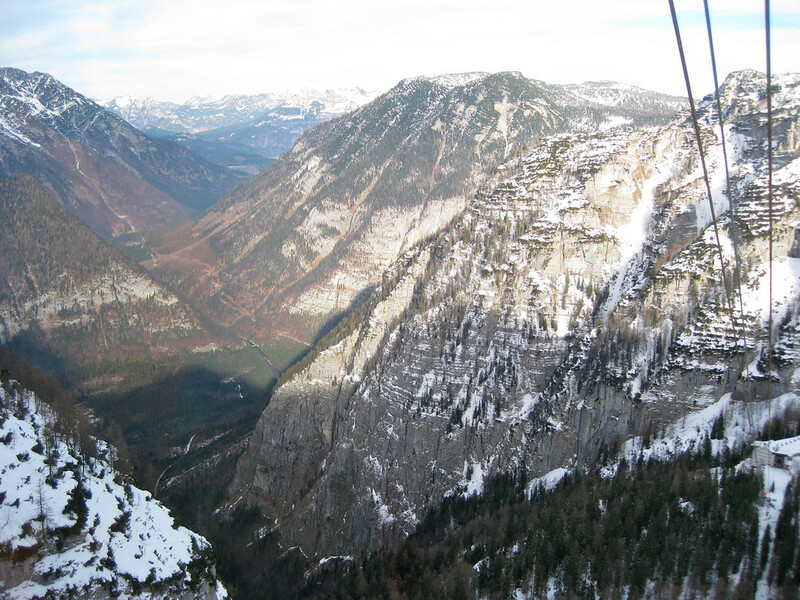 The crowd then transferred to a second gondola which continued to climb but also traversed over to another mountain peak. Around us were sharp promontories and below us were snow covered slopes and dark valleys. We had reached the top lift house and it was all downhill from here. Because neither of us really knew what our skill levels were any more, Rob took us to the smallest and flattest slope and proceeded to lead us through the steps of How to Ski Properly. The day was perfect: blue sky, glistening snow and a warm sun. 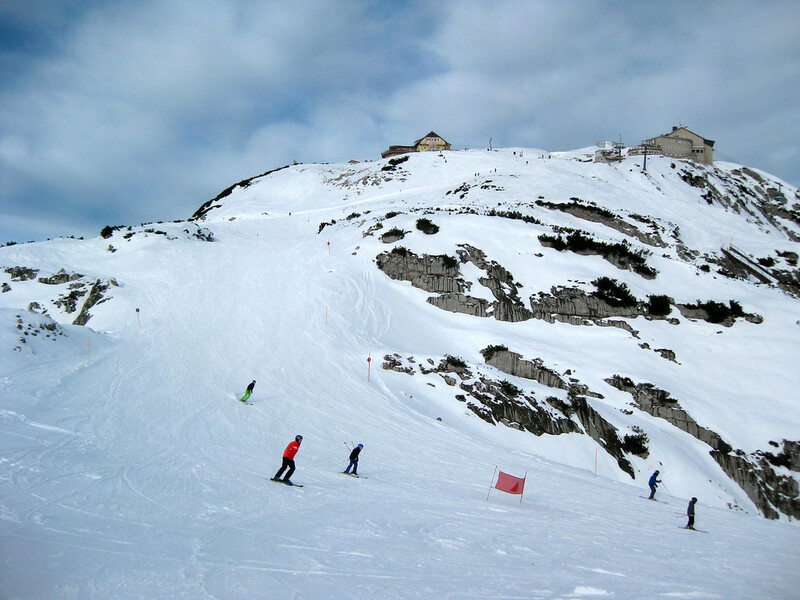 We spent the entire day on the small slope, practicing our turns, stops and form. Apparently I lean back too much, a habit that probably came from too many years of skiing on easy hills. Rob let me know that I could be in trouble if I actually found myself on a slope of any difficulty and that I ought to work on correcting it. We had skied two and a half hours with Rob, and then an hour on our own, before calling it a day. The fact that I had only bought half day tickets was the driving factor for us to get off the mountain. My painful and swollen toes were another reason and Dan’s tired knees rounded out the list of excuses to call it a day. 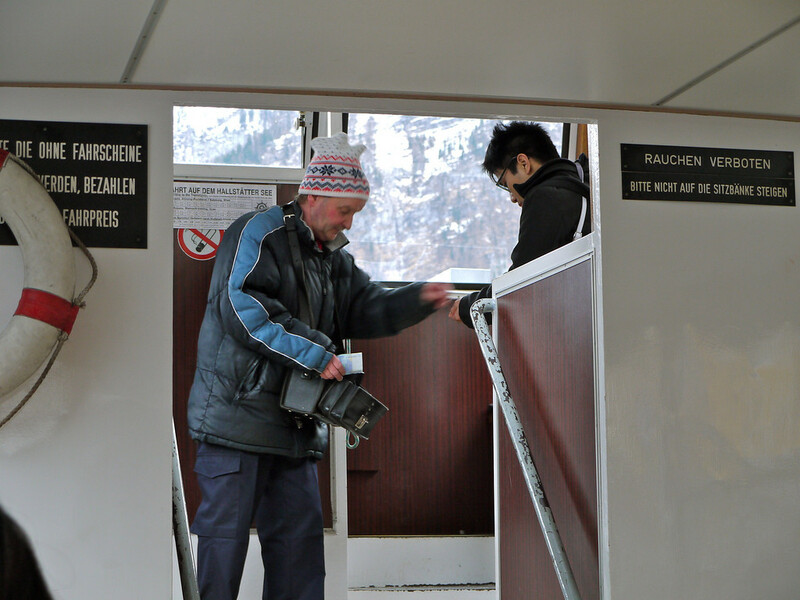 We took the gondolas back to the base station, returned our gear and drove directly to Höllwirt’s for lunch. It was an awkward time of day, around 2pm, and the place was empty. But the hostess cheerfully sat us at our “usual table” before resuming her cleaning and eventually taking our order. Lunch was just as good as dinner and we left with full bellies. The hotel room was calling to us and we returned, enjoying a quiet afternoon of reading and relaxation. 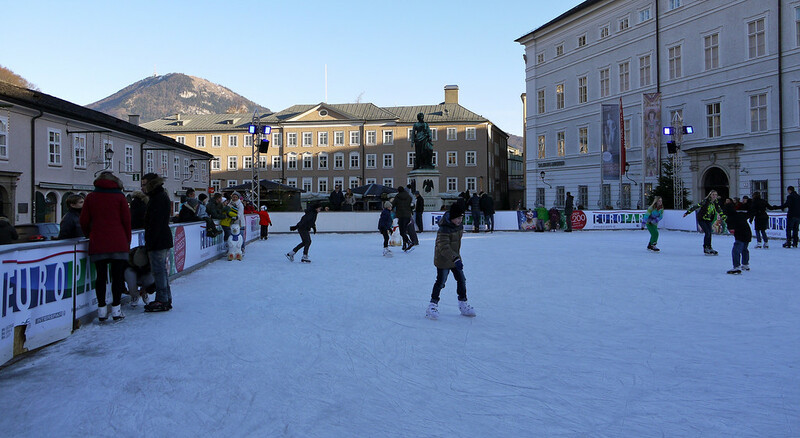 Saturday: our last day in Austria. I had nothing planned for this day, thinking that we could go skiing again if we felt like it, or snowshoeing, or just hiking around the area. The sun was hidden behind clouds that hung low and covered the peaks around us. We knew that there would be nothing to see if we decided to take the gondola back up into snow country and check out the Five Finger Overlook that we had seen the day before. 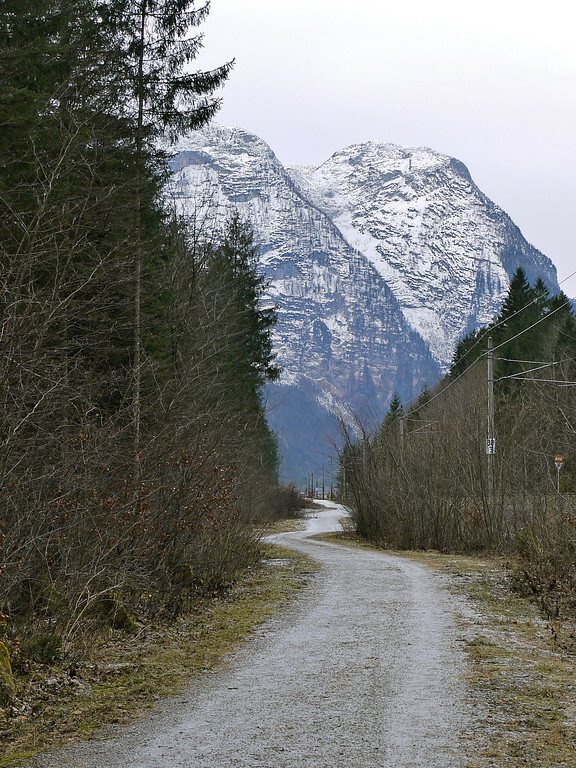 Instead, we decided to stay at our current elevation and see what else was in the valley behind Obertraun. 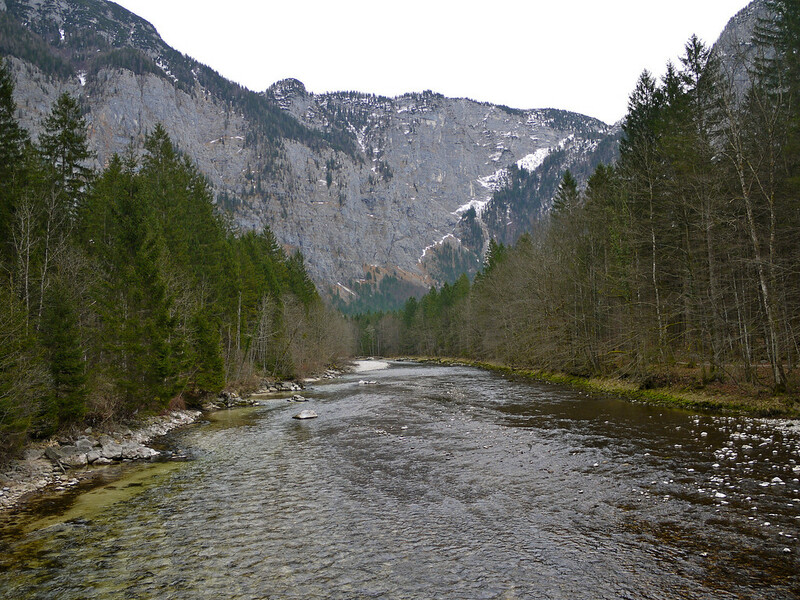 It was another surprisingly warm day and we enjoyed walking along the wanderweg on the valley floor, sometimes following the Traun River, sometimes heading deep into the woods. 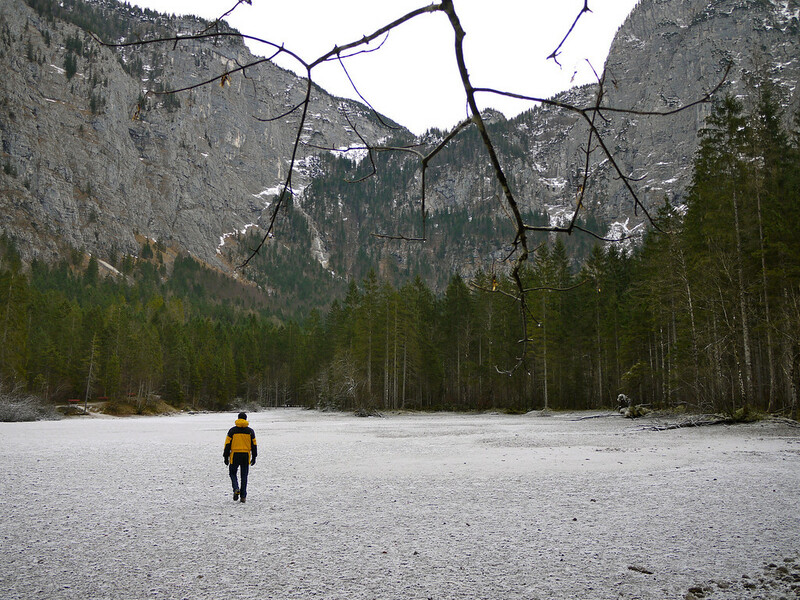 It was a peaceful way to enjoy the day and we walked until we crossed the Traun and then headed back up the other side of the valley. 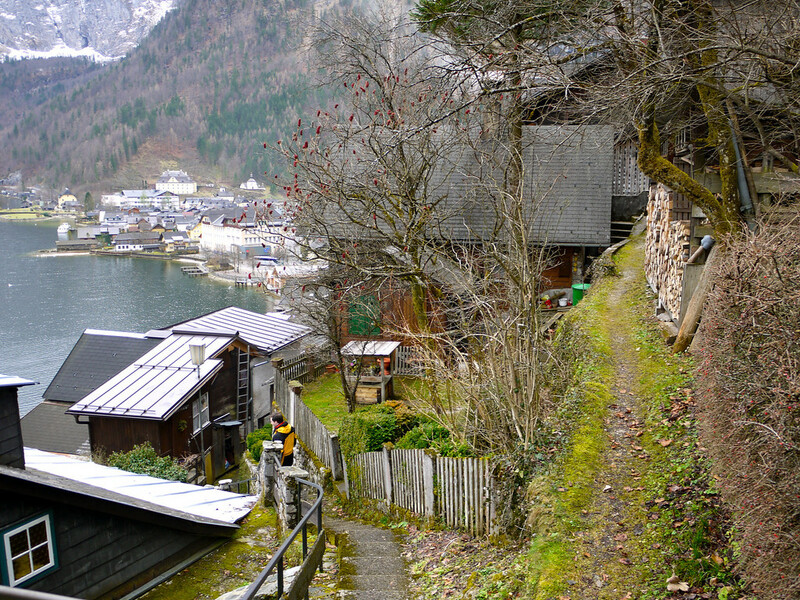 Deciding to eat in Hallstatt, we continued to walk along the lake, still following the paths that now paralleled the road. 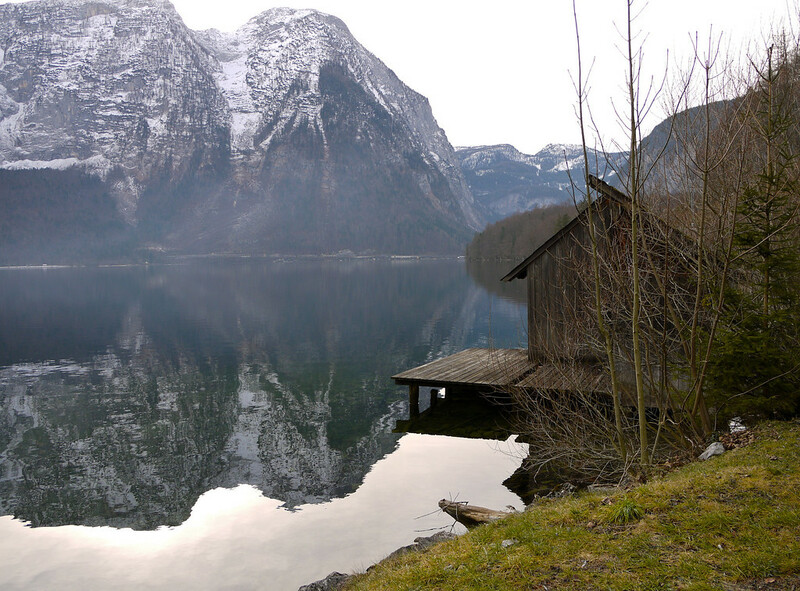 We reached Hallstatt in under an hour and after our 12km morning walk, decided that it was lunch time. 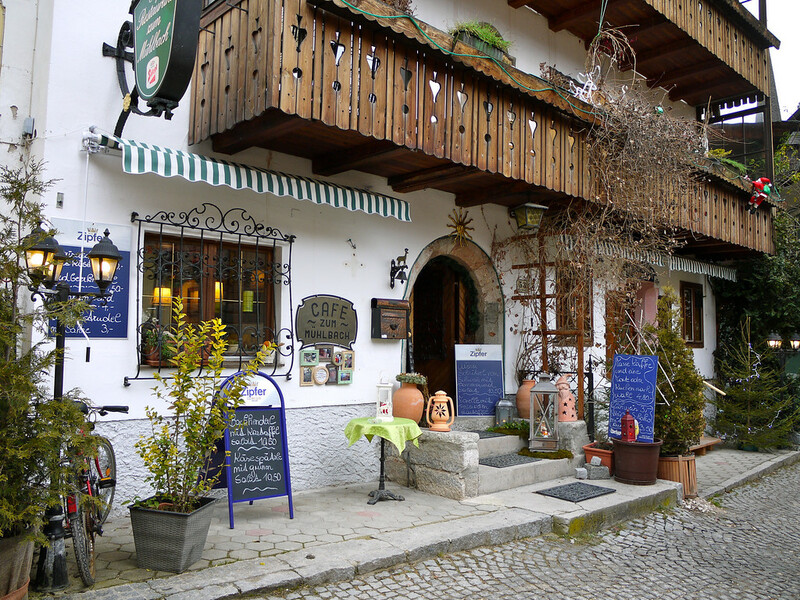 Unfortunately the two restaurants that I had in mind were closed but fortunately we stumbled upon Gasthaus Mühle. It was an unpretentious place with simple but fantastic food. It was also home to the largest cat I’ve ever seen – and that’s saying something! It was a big fat orange tomcat who liked to rub his head on my hand and then play hard-to-get when I tried to pet him. By the time we finished lunch we were done. We made our way back to the ferry dock and as luck would have it, boarding had just begun. We took our seats and enjoyed the quiet ride back across the lake. 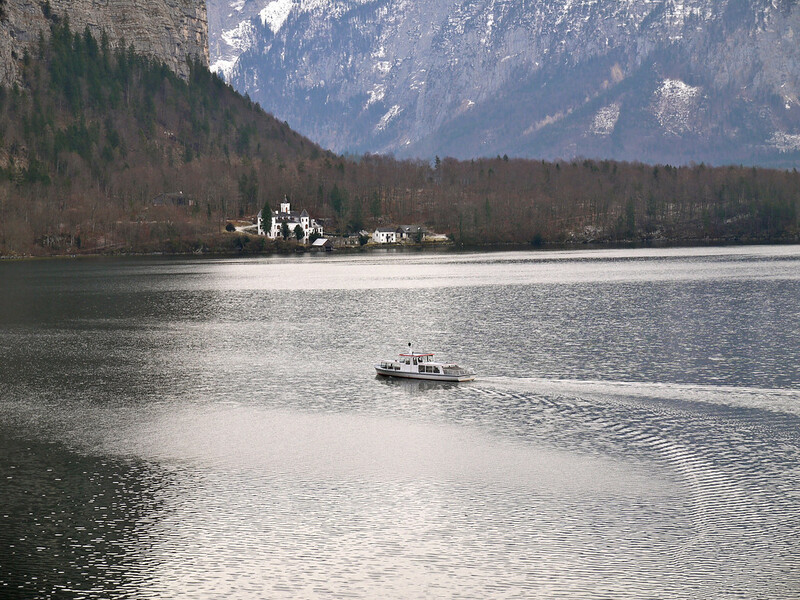 The rest of the passengers headed for the train station but we continued along the lake towards our hotel. We relaxed for a few hours until it was time for the last surprise of the trip, the grand finale to our vacation. 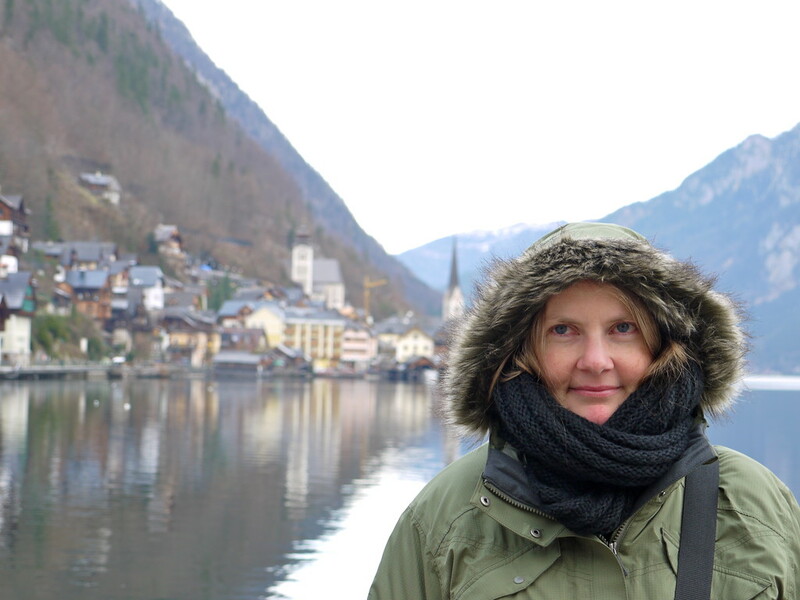 I bundled Dan into the car and we took off for the town of Bad Ischl, 20km up the road. 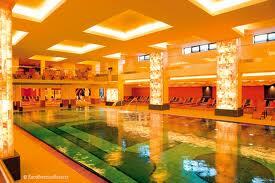 We arrived at the Eurotherm Resort, home of thermal salt baths. It was pure decadence. Four different pools ranging from 32-34C tempted us, including two of them outside in the cold night air. One of them was the “Lazy River”, a small loop of hot water with jetted currents to push you gently through stone tunnels and pass by small relaxation pools. 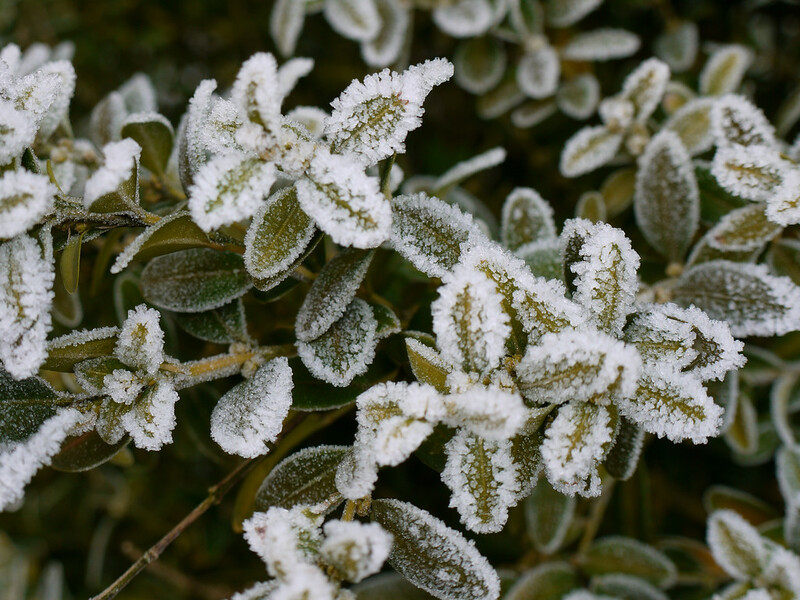 By the time we left, we were wonderfully relaxed and pruned. The next morning we loaded up the car and headed west. The clouds were heavy as we wended our way through the Alps, and then the rain poured down and the rest of the trip consisted of seeing how quickly (and safely) I could get us home. With the bad weather we stayed on the main autobahn through Germany and took the longer – but probably just as fast – detour through Stuttgart. 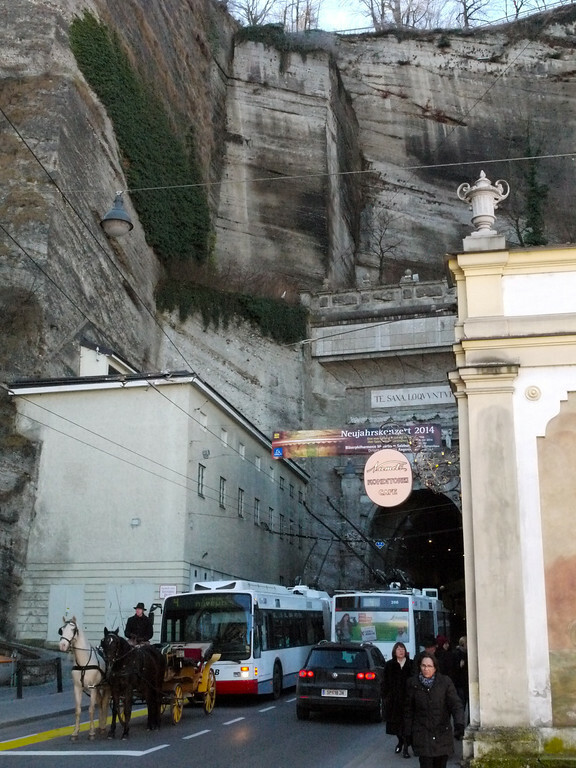 We dropped the car off in Germany and hopped on the next train to Basel. The kitties greeted us enthusiastically when they saw us come through the door. It was good to be home again. I enjoyed your Salt Tour- nice and relaxing and scenic! Such fun reading your report. And of course, now I really want some afore strudel, mit plenty of schlag. Loved the cat ladder and all the little steps and paths threading up through the lovely town. 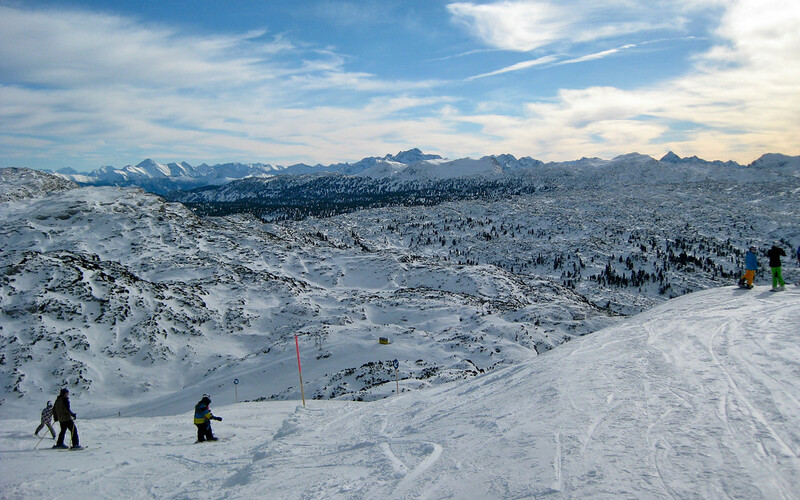 The view from your ski area was a little too thrilling – yikes!